Buy fine wine and check out our free shipping deals. Back in November, I wrote a post about pairing Rosé Champagne with Thai food. I love Rosé Champagne and think it accompanies a wide array of foods, so I'd thought I'd see how well it partnered with Thai cuisine. The results were spectacular- great wines and wonderful food. As that worked so well, I'm going to take a look at other wines from around the world and see how well they marry with Thai food. So I thought I'd do focus on the wines of Alsace this time around as these whites are recognized as arguably the ideal wines to accompany Thai cuisine. And what better way to do this than to sample this food with the wines of Trimbach? One of the most renowned houses in Alsace, Trimbach was established in 1626 (yes, almost 500 years ago!) and is located in Ribeauvillé, where members of the 12th generation of the Trimbach family - namely brothers Pierre and Jean - manage the company on an everyday basis accompanied by their father Bernard and uncle Hubert. 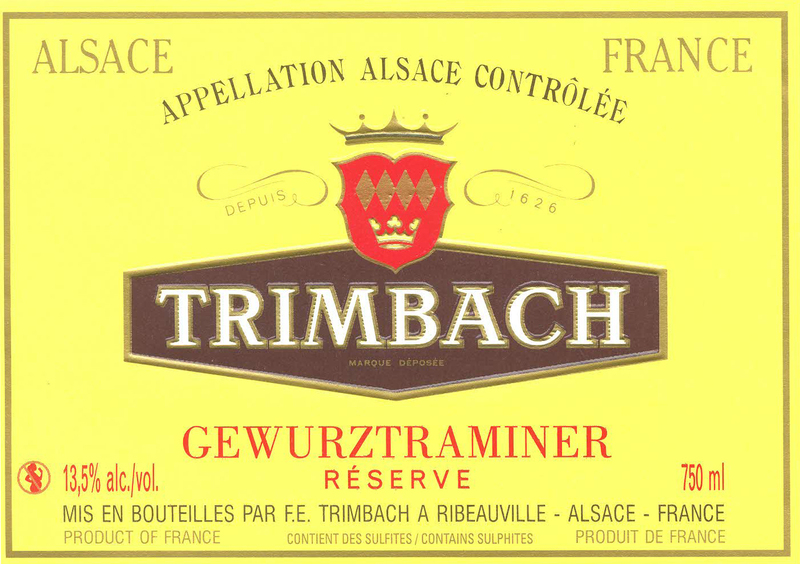 Like most wine houses in Alsace, Trimbach produces a wide variety of wines that represent the array of grape varieties in the region. Muscat and Pinot Blanc are produced, but the emphasis is on three varieties: Pinot Gris, Gewurztraminer and Riesling. Several examples of each of these are produced, ranging from a regular bottling to single vineyard offerings. 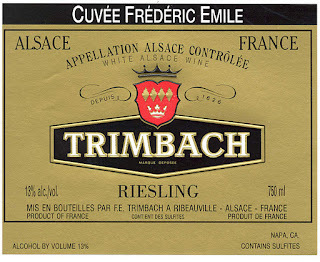 Along with two friends, I tasted out four Trimbach wines with the Thai food; three Reserve offerings - Pinot Gris, Gewurztraminer and Riesling - along with a special selection Riesling known as Cuvée Frédéric Emile. The Reserve line is really quite notable, especially given that these wines are retail priced at $25 each. 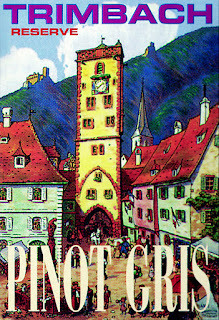 The Pinot Gris (2006 vintage) is quite dry with a rich mid-palate and big finish - this is not like most Pinot Gris (or Pinot Grigio) produced elsewhere. 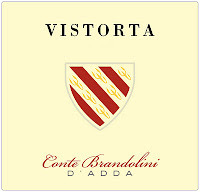 The aromas are of dried pear, apple peel and yellow flowers and there is very good acidity. This wine showed very well and can be enjoyed for another 2-3 years. I adore Gewurztraminer and this 2009 Reserve bottling did nothing to dampen my desire of this variety. The aromas are textbook - lychee and yellow roses - and thankfully, this is not as perfumed as some examples of Gewurztraminer. Medium-full with plenty of appealing spice in the finish, this has lively acidity and is quite forward and even a bit fat on the palate - this is so delicious right now! This wine just jumps out of the glass and welcomes you with its fragrances and spicy flavors and I can't quite figure out how they made a wine this good for only $25! The 2009 Riesling Reserve is also an excellent wine, but this is a very different style than the Gewurztraminer. While the Gewurztraminer is quite forward, the Riesling is lean and subdued. It's got lively acidity and light touch of minerality (what we used to label as "steely" in a Riesling). There are beautiful aromas of lime, melon and white peach and the wine just sort of glides across your palate, while the finish is long and dry. This is fine now, but it will open up and reveal greater complexities with another 2-3 years and it should still be drinking well in another 5-7 years. 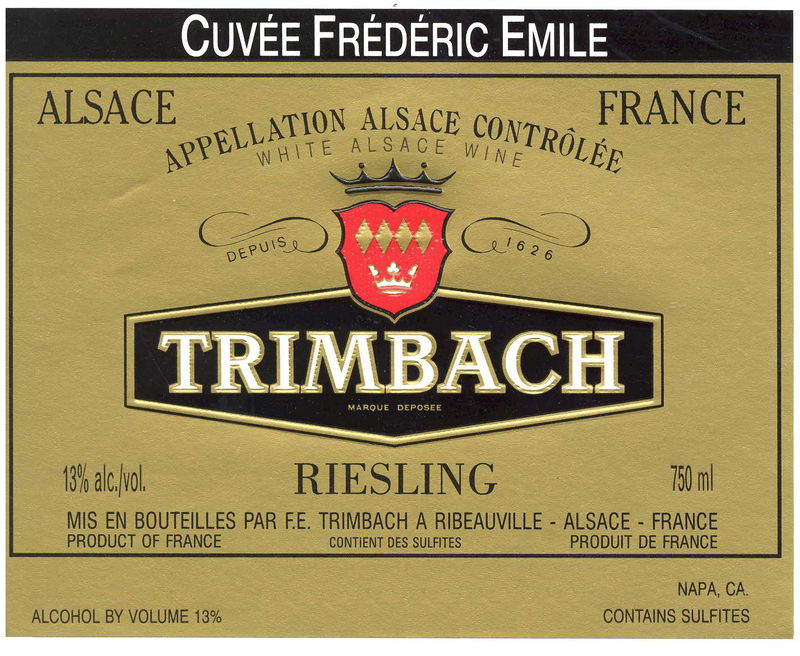 As for the Cuvée Frédéric Emile Riesling (this from the 2005 vintage), this is one of the most distinguished wines from the producer, a selection of grapes from several vineyards including the Grand Cru sites Geisberg and Osterberg. The grapes are picked later than normal, giving them maximum ripeness and flavor, without sacrificing much in the way of acidity and to preserve varietal purity, the wine is aged solely in steel tanks, as the Trimbach brothers believe that wood aging does not add anything to this wine. Medium-full with a rich mid-palate, this has a very long finish with lively acidity and a hint of ginger in the finish to go along with the notes of apricot and chamomile in the aromas. This is a big wine with excellent complexity, yet it is always balanced and never over the top. Showing beautifully now, it should drink well for another 7-10 years. The Cuvée Frédéric Emile is a very limited wine, which helps explain the $75 price. As for the wine and food pairings, as I wrote above, the white wines of Alsace are classic partners with Thai food and this particular night confirmed that quite well. We ate at Siam Country, one of my favorite BYOB hangouts in Chicago and tried a variety of dishes from spring rolls to satay to ginger pork to chicken with noodles and green curry. Each of the wines worked very well with virtually every dish; particularly good pairings were the Gewurztraminer with the ginger pork, the Pinot Gris with the chicken with green curry and the Riesling with the spring rolls. If I had to choose one or two wines for an entire Thai meal, I'd go with the Riesling and the Gewurztraminer; the former for its richness as well as its subtleties in playing up to the food, while the Gewurztraminer accentuates the spice in the dish. I'm not sure I'd want to play up the heat of a curry dish, so in this instance, the Pinot Gris would be the ideal match, while the Frédéric Emile Riesling clearly could stand up to any of these dishes and was particularly good with any presentation of chicken or pork. Of course, you don't have to have Thai or Oriental cuisine to enjoy with these Trimbach wines. Many preparations of pork, veal, chicken or vegetables or quiche work beautifully with these wines. 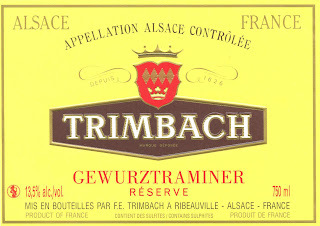 That's one of the secrets of the great white wines of Alsace, especially when they are rendered by the Trimbach family! 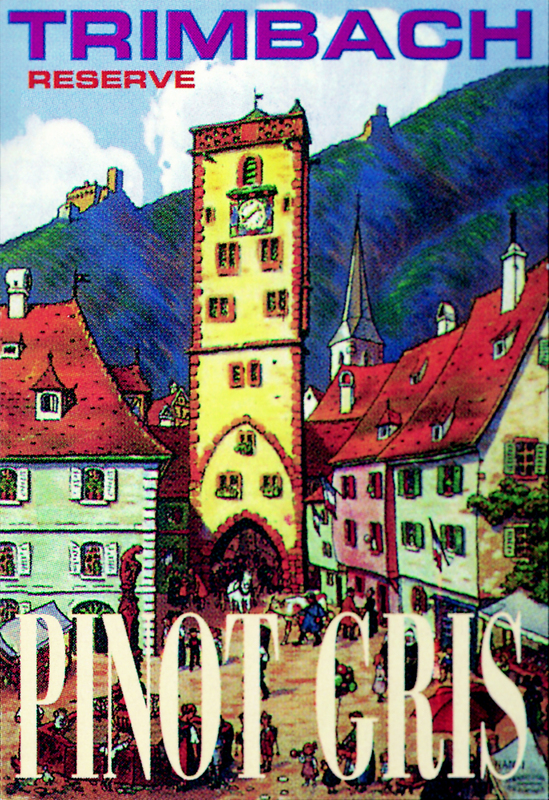 The wines of Trimbach are imported nationally by Palm Bay. Great news for lovers of Italian wines! 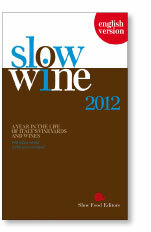 Several dozen of Italy's finest producers will be participating in upcoming tastings in New York and Chicago to celebrate the inaugural English language version of the 2012 SlowWine Guide. The Slow Wine Guide is a new publication that rates Italian wine producers in a slightly different way than most of its other counterparts. There are three ranking determinations used by the authors of the guide: The Snail, which identifies a cellar that has distinguished itself through its wines according to the Slow Food philosophy, The Bottle, given to cellars that show a consistently high quality throughout their range of wines and finally, The Coin, an indicator of great value. The New York trade tasting will be held on Monday, January 30 from 2-6 at the Metropolitan Pavilion at 125 W. 18th Street (there is a press briefing from 1-1:45). The Chicago trade tasting will be held on Thursday, February 2 from 1:30-5:30 at Spiaggia, 980 N. Michigan Avenue. There will also be a tasting for the public in Chicago that same evening from 6:00-8:30 also at Spiaggia. The cost is $30 per person for Slow Food members and $35 for non-members. For information on how to register go to this page. 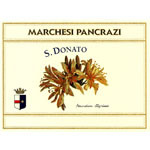 Marchesi Pancrazi S. Donato 2010 (IGT Toscano Rosso)- Think Tuscany and you probably think Sangiovese if it's a red wine, correct? Well so did Vittorio Pancrazi when 3300 vines identified as Sangiovese were planted at his estate in Montemurlo, west of Florence. The trouble was that the vines were actually Pinot Noir, something that was not discovered for more than a decade! Undaunted, Pancrazi went ahead producing Pinot Noir and has since planted several of the best Dijon clones of this variety. 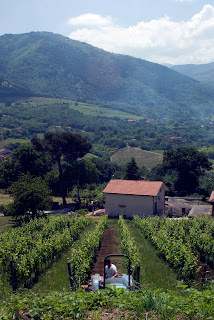 He has also included Pinot Noir on another property of his named San Donato and to accompany that variety, he has also planted Gamay. The result is a delighful wine named S. Donato, a blend of 50% Pinot Noir and 50% Gamay. To make as elegant and as charming as wine as possible, the Pinot Noir is vinified in a traditional way, while the Gamay undergoes carbonic maceration, just as Gamay is treated in Beaujolais. Although I've said it before, it bears repeating that while the Italian wine industry is unique, the main reason is that growers all over the country work with indigenous varieties. In a world where more and more products - be it wine, food, or whatever - start to become similar, it is wines made from varieties such as Dolcetto, Lagrein, Friulano, Greco, Fiano and hundreds, perhaps thousands of others that stand out as products that reflects the true legacy of the land. These are wines that reflect the soul of the farmers that work with these varieties. While I've tasted thousands of wines made from indigenous varieties over the course of my 50 trips to Italy, I'm always finding new ones. Recently, I tasted a white wine from Puglia that I had never sampled. The wine is from Masseria Li Veli and it is made entirely from the Verdeca variety. Masseria Li Veli is located in Salice Salentino in southern Puglia and has begun a special project called "Askos" for limited production wines made from varieties that are threatened with extinction; Askos is a wine jar and is the symbol for this project. The first red is from the Susumaniello variety and now we have a white, Verdeca. 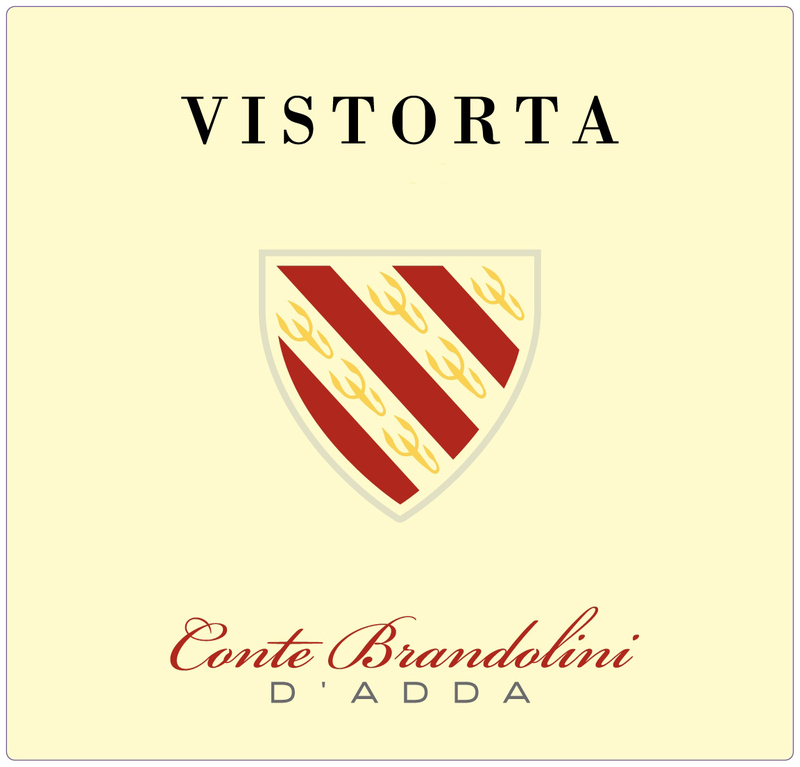 This initial release is the 2010 and the wine is a blend of 90% Verdeca and 10% Fiano Minutolo; the designation is IGT Valle d'Itria. Deep yellow in appearance, due to skin contact, the wine has aromas and flavors of tangerine - this is quite dominant in the nose and very attractive - as well as dried pear and yellow flowers. Medium-full, the wine, aged solely in steel tanks, has a rich mid-palate and a long and flavorful finish with very good acidity. Displaying excellent complexity, this is a delicious white with lovely balance and style. I'd pair this with a variety of foods, from sea bass to roast pork or chicken. It is tasting out great now and will offer a great deal of pleasure for the next 2-3 years. For $18, this is a remarkable wine and an excellent value. Lest you think that wines such as this are meant only for those looking for something very unusual, this is a real-crowd pleaser and I'm sure that people who like Chardonnay with little or no oak would love this wine. Bravo to Masseria Li Veli for producing this wine and to Dalla Terra for importing this wine into the United States! After a bit of a holiday break to refresh the batteries, it's time to get back to posting on this site. For this first post of the year, I'm taking a break from my standard wine recommendations and am publishing an essay. I'm on my soapbox here, so I hope all of you readers don't mind, but I think this is important. I'll be back to my regular wine choices the next time out. 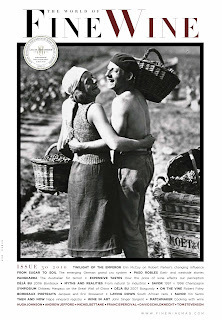 I'm certain most of you already know this, but wine magazines are being replaced by other avenues, from blogs to iPads. There are several reasons for this, most importantly the economic crisis of the past few years. This is true in many industries, so this isn't just affecting the wine publications, as auto, fashion, sports and movie magazines are either going out of business or publishing smaller issues. There isn't the advertising money out there like there was just five years ago, so there are problems. Of course, one big reason for the demise of some wine publications is the increase in wine blogs. 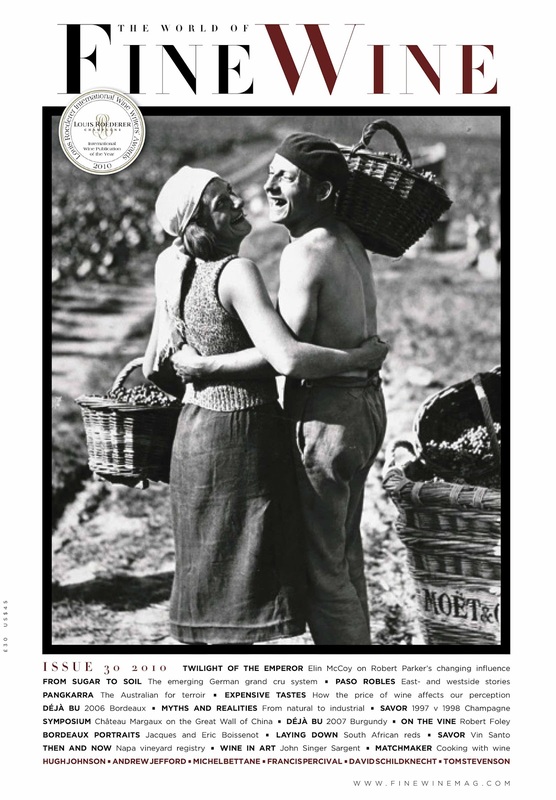 As someone who makes a living writing about wine (I've written for wine publications for 13 years now), I accept that fact, which is quite clear, as I also publish a wine blog. It's good exercise for me and it's a nice avenue for me to write about certain wines I couldn't write about in a print article. People today are also turning to apps on smart phones to learn about wine. Technology has changed many industries and it's no different with wine. I actually welcome new ways in which to learn, because, let's face it, there is no one way to take in new knowledge. It's how much you can learn, however, from an application versus an article in a magazine, that makes the difference. What all of this is leading me to is this. I recently read an article from The World of Fine Wine, a first-rate wine publication from England (full disclosure - I write for the magazine), that made me think about wine in a new light. The article is by Terry Thiese, one of the best-known importers of wines from Europe; the wines he represents have received tremendous critical praise. In this article, which you can read here, Thiese talks about several factors in wines that may or may not equate to quality; these include issues such as concentration, balance and deliciousness (I love that word!). Thiese talks about what these terms mean to an individual wine drinker, so this is an article about how each person's set of values affects his or her appreciation of wine. Thiese also talks about yields in wine and how we have been led to believe that the best wines are made from the smallest yields. Many in the wine business accept this as almost a universal truth, but Thiese warns against taking this literally. He makes a solid argument about this and several other issues and it's insight such as this from the author that makes this such a valuable article. I think it's something every wine drinker should read. I point this out because Thiese flies in the face of accepted wisdom on yields. People who believe that the best wines are always made from the smallest yields also tend to believe that the wines that receive a 95 or 96-point rating from an influential wine magazine are "better" than similar wines that garner 87 or 88 points. It's the "bigger is better" argument. As one winemaker told me once, "Bigger isn't better, it's different." Amen to that! It's like saying the best player on a basketball team is the tallest player - maybe he is, but then again, maybe he isn't. This is another argument against rating wines with points. I've written about this before and I'll do it again, but for now, my point is this. By not reading wine magazines - indeed, how long before there are no wine magazines?- but instead using technology such as applications on smart phones, you learn about wine via soundbites. It's the quick and easy way to learn about wine- these apps will tell you that a certain vintage was better than another or that one part of a wine region is better than another, yet how can one judge individual style or preference this way? Wine is a sensory experience, so what you sense in a glass of wine is probably going to be different than what I encounter. It's neat that there are new ways to learn, but preferring those over the traditional print publications can have its drawbacks. How does one learn about the appassimento method used to produce Amarone, one of Italy's most powerful reds, on a smart phone? How can you get a feeling for the difference between a Champagne from a large house as contrasted with that of a small grower while using a phone application? You learn about these subjects and hundreds more in the wine world over time, by reading articles and tasting wines. Points don't tell you about the style of wine and a phone app doesn't give you much insight. You have to put in the time to understand these things - there are no shortcuts. So use your smart phones if you will or look on the internet for some reviews, but if you want to truly understand wine, take the time to read a wine article in a reputable wine publication that was written by someone who knows a good amount of the subject and then edited by another person who also knows about the value of good writing. In the final analysis, there is no substitute for that, with one important exception, tasting the wines themselves and making your own judgment.